Referrals to Michigan Rehabilitation Services and Michigan Commission for the Blind. These agencies provide vocational (job) counseling service aimed at reducing barriers to employment for people with significant disabilities. Counseling for people who receive SSI or SSDI who want to return to work but are unsure of how employment will impact their benefits through our Benefits Planning services. We can be reached at at (269) 345-1516. Information about your rights and responsibilities in the employment process. Our Disability Rights Advocate, Paul Ecklund, is available to help you understand your rights for a reasonable accommodation, what to do if you think you’ve been discriminated against, and more. Contact Paul at (269) 345-1516 x 117. Job Accommodation Network is a free service for employers AND people with disabilities. ADA Basics is a free on-line class to learn about all aspects of the Americans with Disabilities Act. It is an introductory level class and is highly recommended! Below is Disability Network/Michigan’s position statement on employment. This information is supported by the Common Disability Agenda. 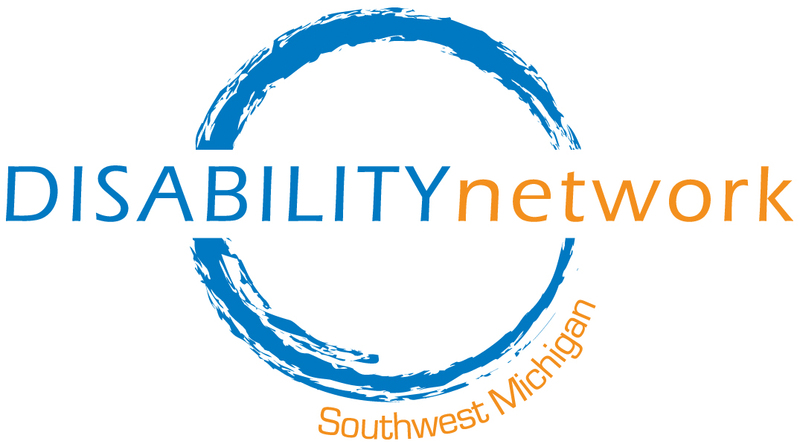 Disability Network Southwest Michigan is a member of Disability Network/Michigan. A strong workforce is a common goal. Michigan needs workers, all workers. Workers are taxpayers and productive contributors to the economic welfare of their communities. Persons with disabilities can and should be workers, but face numerous barriers as they seek to access the workplace. Thousands of Michigan workers from all fields are finding themselves undereducated and unskilled to meet the demands of a transitioning economy based more on brains than brawn. A plan which actively shifts the Michigan employment culture back to a marketable status on the national level must occur. For the most part, this depends on our government creating opportunities for cooperation among businesses, labor and education to match academic and vocational training with employer needs. As Governor Granholm stated (June 2004), “We have to craft a workforce and a strategy around what’s going to make Michigan competitive.” A strong workforce is a common goal. One of the most under utilized resources in our state workforce is persons with disabilities. This fact is supported by a plethora of research studies with consistent findings that 65% of persons with disabilities (National Organization on Disability/Harris Survey June 2004) are not working, though the majority would enter the workforce if afforded the opportunity. As a result, working age persons with disabilities have significantly fewer economic resources which negatively impact the Michigan economy. Furthermore, individuals who are unemployed or underemployed are recipients of public assistance at a significantly higher rate. The barriers faced by an individual with a disability as they strive to enter our State’s workforce are often common issues for all citizens. Basic work skills, remedial education courses, access to quality health care, workplace accommodations, and employment opportunities with improved income levels must be made available. Through these multiple strategies, an increase in the percentage of persons with disabilities who are gainfully employed will be realized, greatly adding to the productivity and resilience of our State’s economy. The Michigan Department of Labor & Economic Growth (DLEG) has created an Action Plan called “Reshaping Michigan’s Workforce.” Its goals, objectives, and priority action items focus clearly on utilizing all of Michigan’s citizens in growing the workforce. The DLEG Action Plan identifies the reorganization of the Governor’s Workforce Commission as one of its objectives. We support this plan and encourage the appointment of at least one member from the statewide disability community who possesses employment expertise. We support this development plan and encourage DLEG to utilize the resources within the statewide disability community for additional input as they work to create an inclusive Michigan workforce. We applaud the State of Michigan Legislature and the Governor for the passage of the Freedom to Work For Individuals with Disabilities legislation. It removed a major disincentive for many seeking employment. We strongly encourage the Department of Human Services(DHS) and the Department of Community Health (DCH) to continue their efforts to market this opportunity to the public, as well to create and manage an enrollment process which is user friendly. This “Medicaid Buy-In” opportunity is essential if Michigan citizens are to benefit fully from the new federal Ticket-To-Work Program, which offers work incentives to SSI and SSDI recipients. Michigan’s system of One Stop Employment centers must be accessible to all of our citizens,including those with physical, sensory, and intellectual disabilities. These centers are working to achieve full program and physical accessibility. We encourage this system to utilize the centers which have achieved inclusive service environments as models for their own ongoing development. The importance of the entrepreneurial spirit must be championed for persons with disabilities. The number of small business opened over the past year reveals a continuing increase since 2000 (Michigan Small Business and Technology Development Center June 2004). Small business development, telecommuting, and self-employment (micro enterprise ownership) opportunities should be recognized and developed as possible employment options. Policy makers must also work to revamp the Single Business Tax to reflect the changing economy. Studies demonstrate that many single mothers remain on welfare rolls instead of engaging in competitive employment because they have disabilities themselves or because they have children with disabilities. In both cases, education, training, day care, and community supports are lacking or non-existent. Michigan must develop effective intervention strategies and programs to allow these individuals to have a realistic option of competitive employment.